Gowi Toys 17 pc pretend kitchen baking set is great fun for little bakers. The serving tray is 12" x 8" and the set includes mixing bowl, cookie cutters and much more. Great way for kids to 'help' with holiday or year-round baking fun. 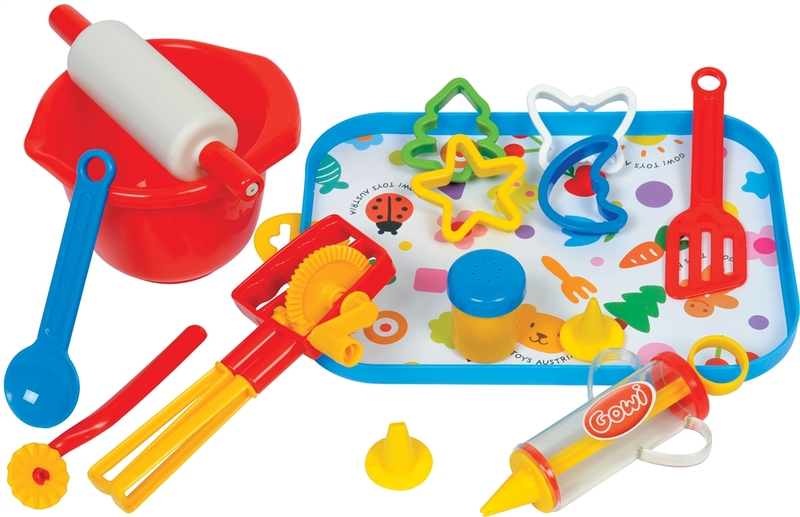 Rolling pin, dough cutter and cookie cutters, icing tool, spatula and mixing spoon, too!